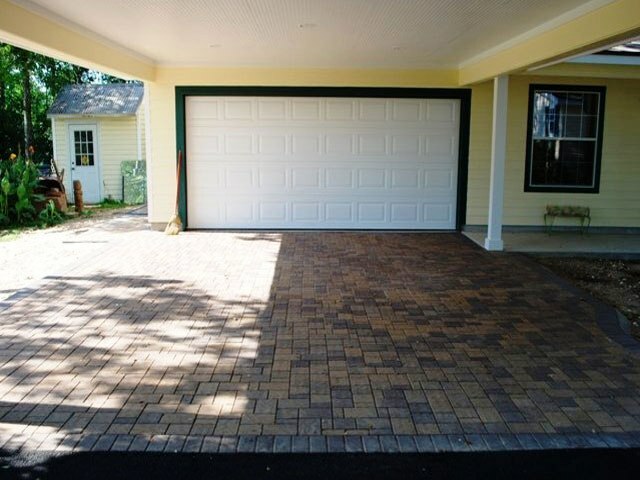 Your driveway is the first thing guests encounter when they come to your home. 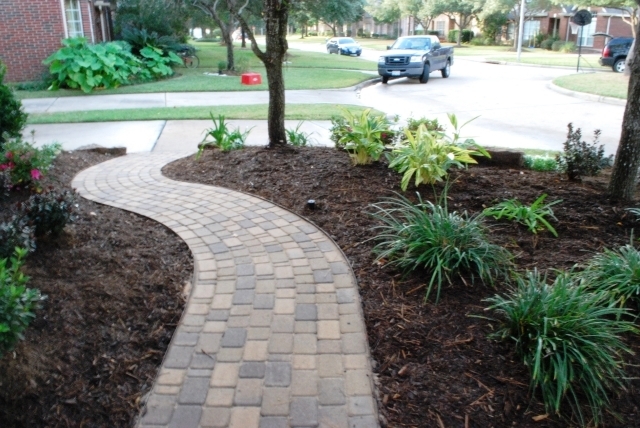 A driveway that is attractive is therefore one of the most important part to decorate in your home. 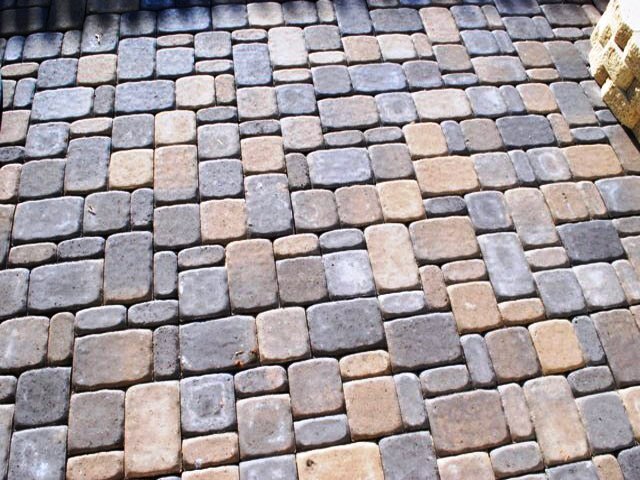 With paving designs, there are many different designs and surfaces available for driveways. Your choice depends on your taste. 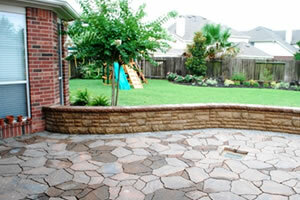 Paving designs listens to your suggestions and customizes your driveway according to your liking. 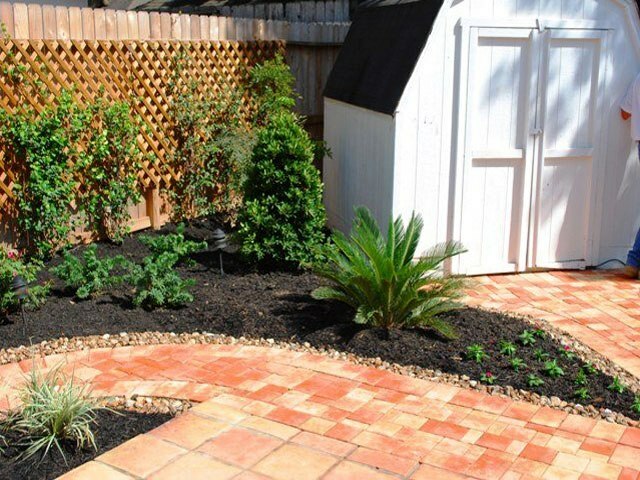 You get to select driveway designs from the variety of driveway ideas provided. If you already an existing concrete driveway, it can be transformed into an attractive one by use of the new concrete designs available. 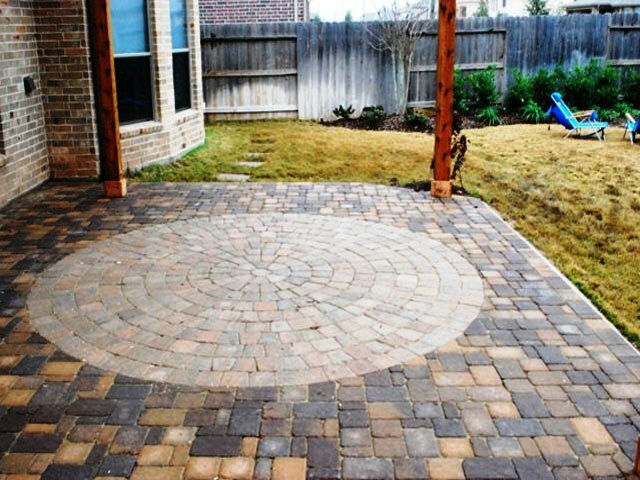 If you are interested in paving your driveway, paver designs will reach you whether you are based in Houston, Katy, Cypress, or Brookshire. 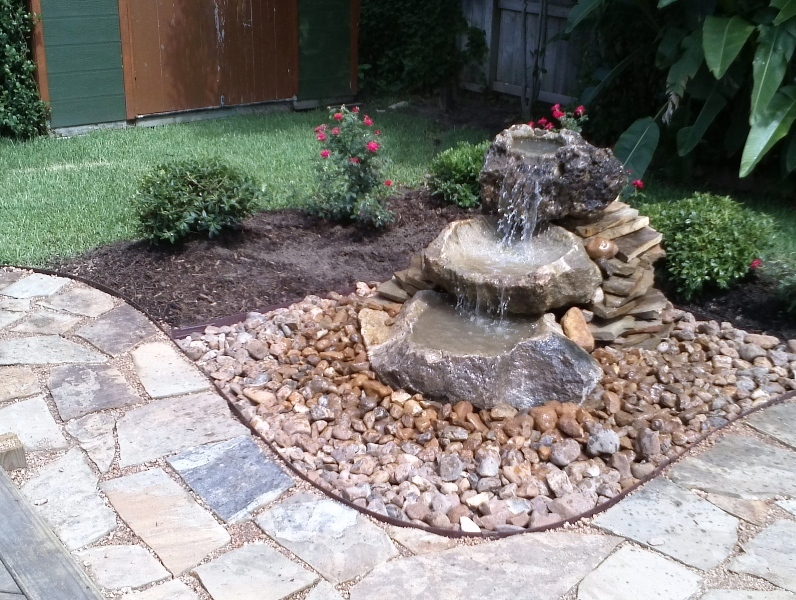 We also serve Rosenberg, and Sugar Land areas. Contact us and enhance your driveway using bradstone, different paving stones, concrete driveways or stamped concrete. 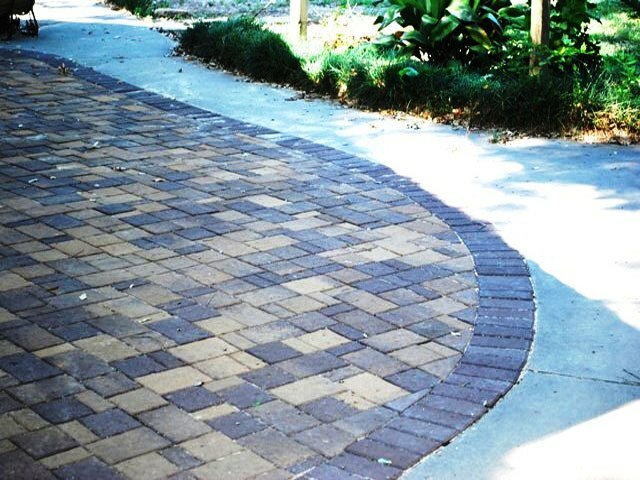 Paver designs install pavers in your driveway that will last through seasons without weathering. They are made to withstand all kinds of weather and remain strong and attractive. 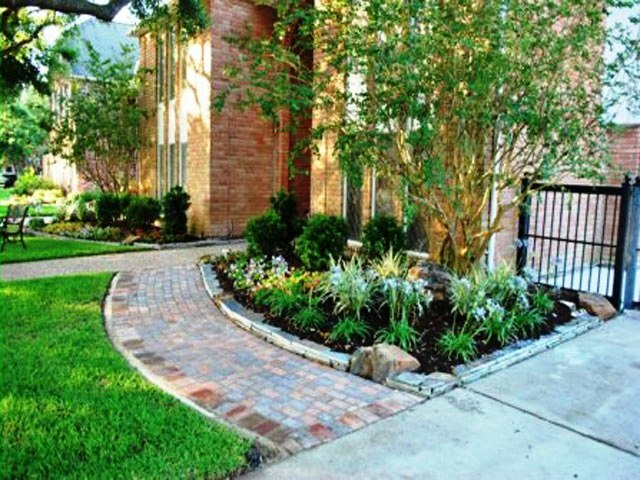 Be the envy of your friends by having a driveway that stands out and brings out the best of your home. Everyone notices the driveway when you drive up to a home. 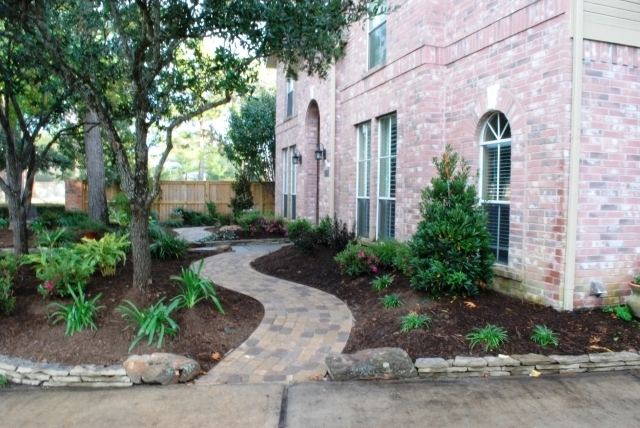 The driveway is the focal landscape feature in the front of the home. 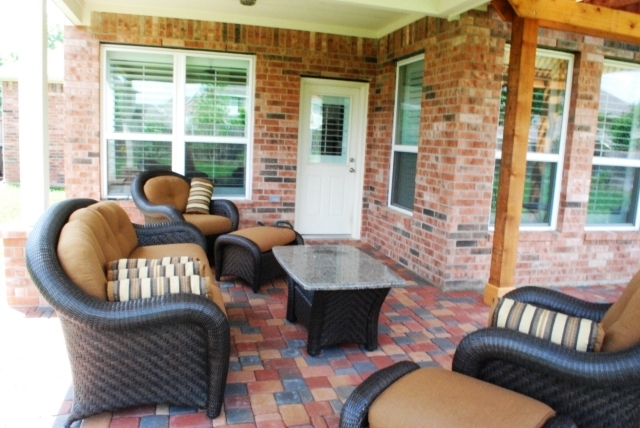 Pavers are brick-like pieces that come in different colors, shapes, and sizes. They can be arranged in infinite ways combining different colors and shapes to create patterns and even graphics. 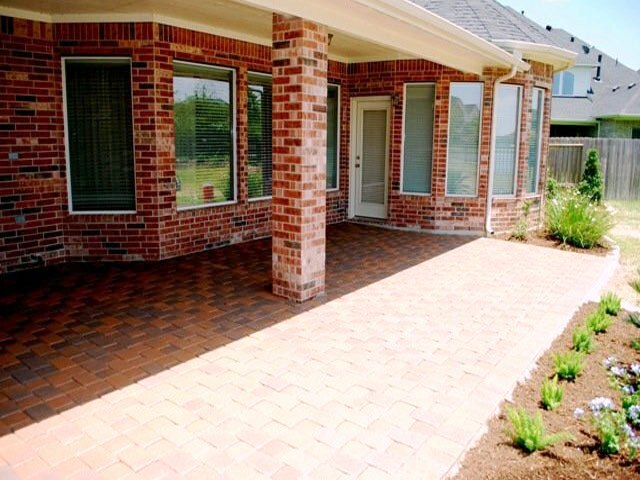 Stamped Concrete is a method of stamping concrete after it has been poured but before it hardens to resemble brick or stone. 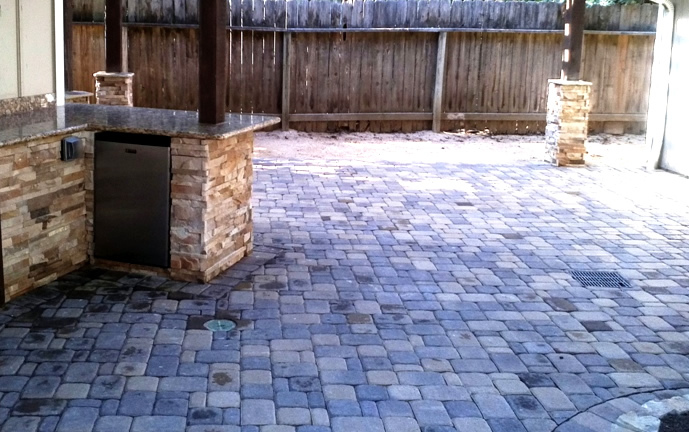 We can design and install a beautiful Paver Driveway or Stamped Concrete Driveway. Reviewing some of the different features may help you decide. 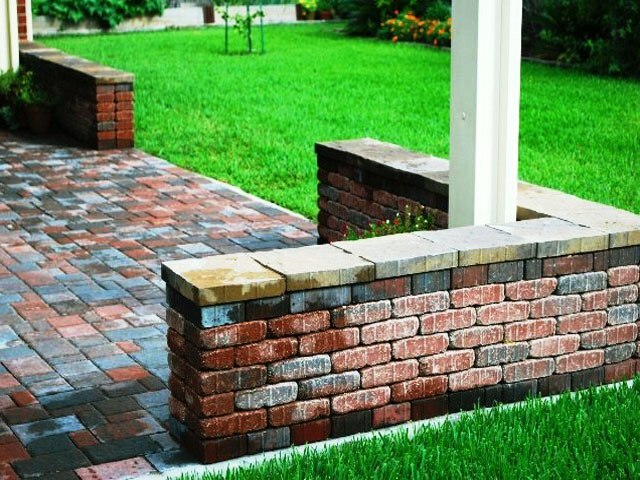 Durability WORSE: Concrete sections are larger so they crack easier BETTER: Individuals pavers will keep forces from cracking larger sections. 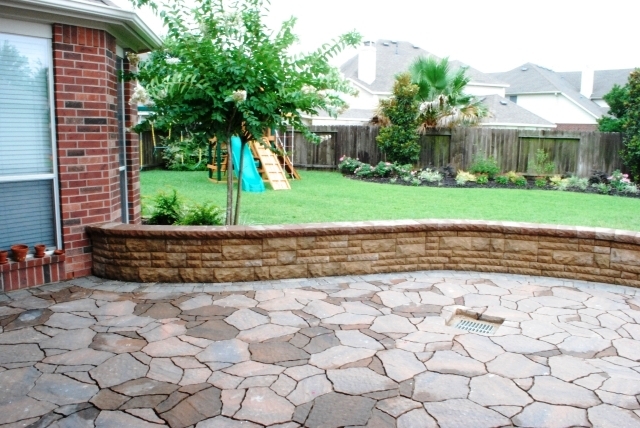 Appearance GOOD: The appearance of stamped concrete is really good. 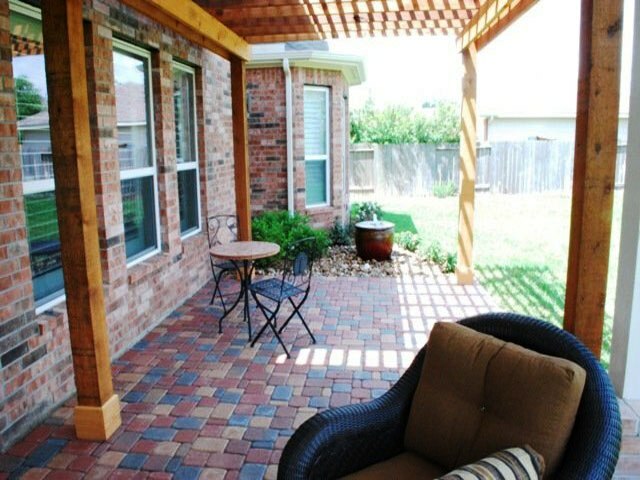 Onlly when you walk on it will it be apparent that it is not real pavers or bricks. AUTHENTIC: The elegant look and craftsmaship is apparent when you get close and especially when you walk on it. Design Limited: The number of stamp designs is limited. 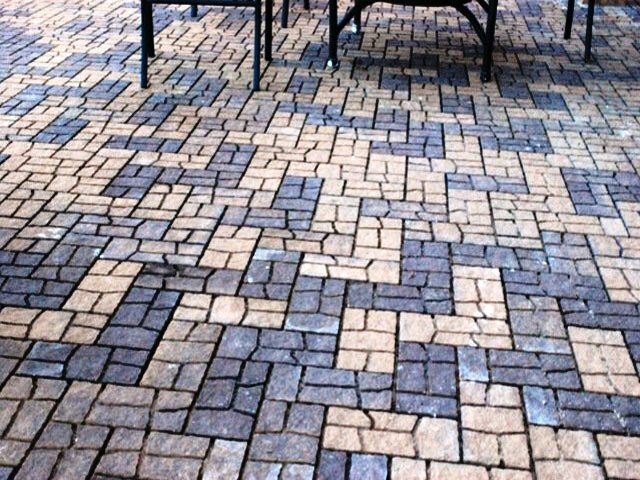 Un-Limited: The number of paver designs is un-limited. This allows for a truly personal design. 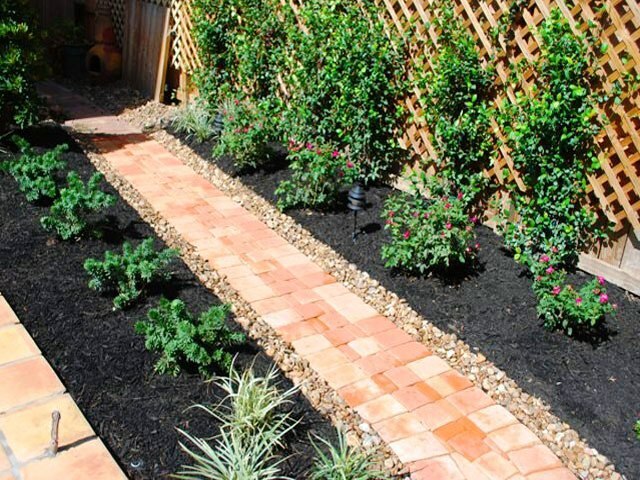 Cost Lower: In most cases this will be less expensive Higher: the cost for pavers is generally higher. Maintenance Very Costly: Cracked concrete is always harder to repair and frequently requires replacing a section. 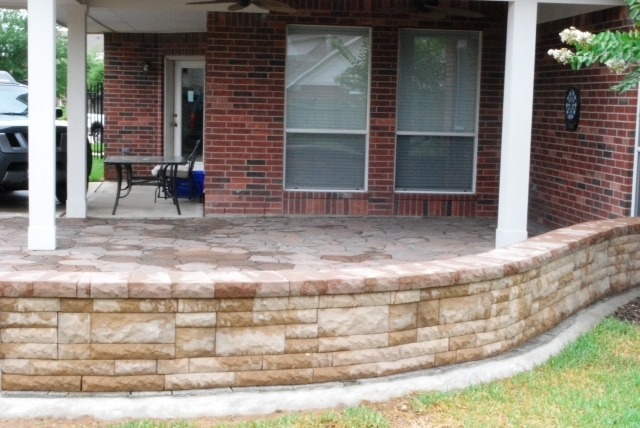 There will almost always be a color difference when patching a crack or replacing a section. 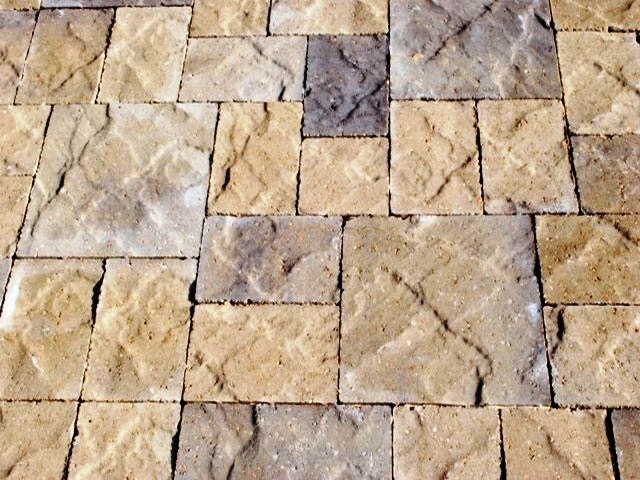 Very Inexpensive: Generally you will never need to replace more than one or two pavers.